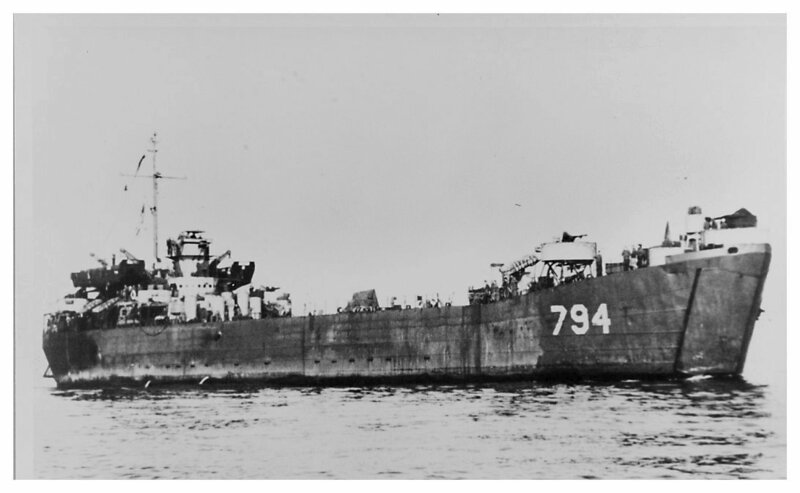 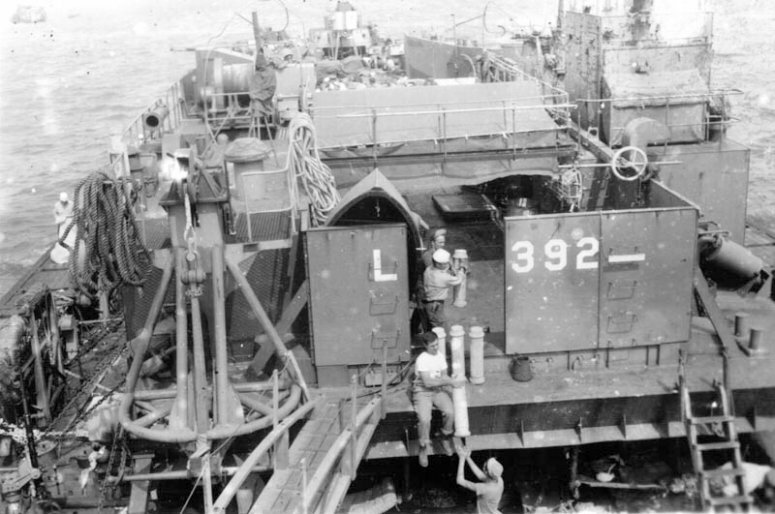 Laid down, 12 July 1944. at the Dravo Corp., Pittsburgh, PA.
Decommissioned, 9 July 1946, at San Francisco, CA. 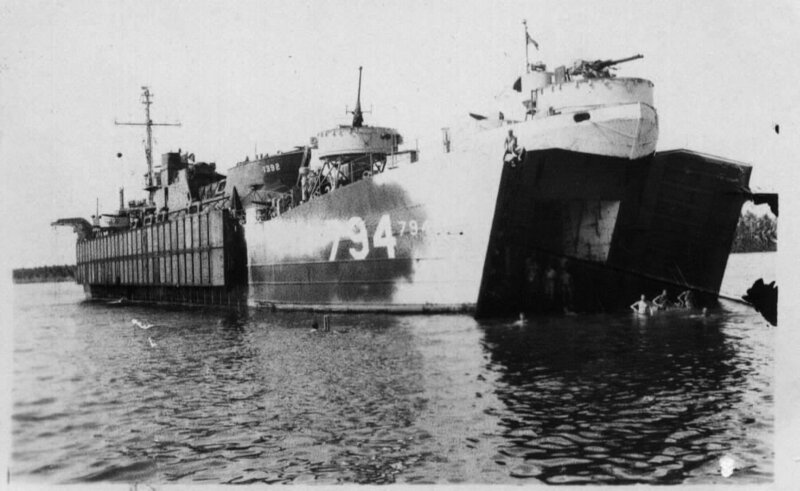 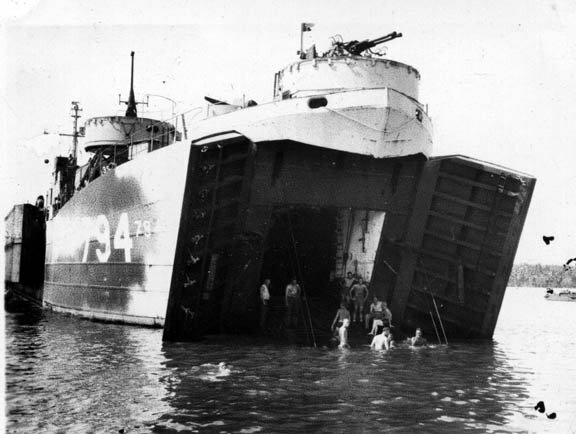 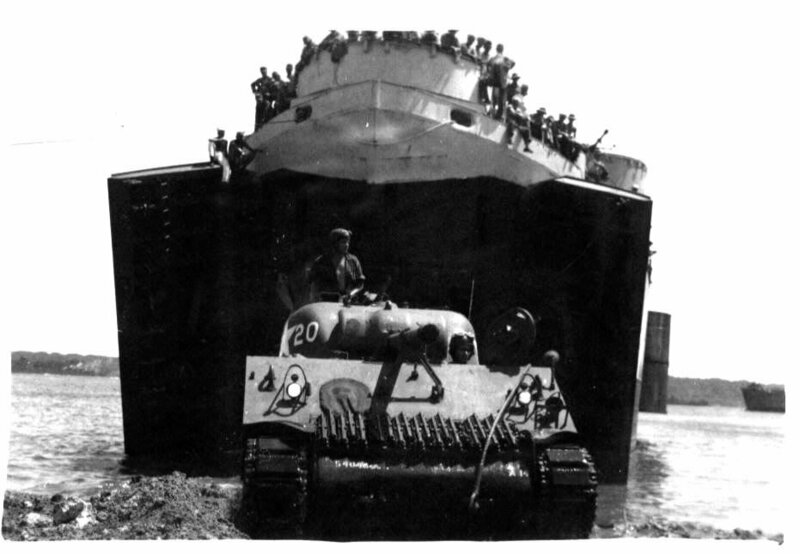 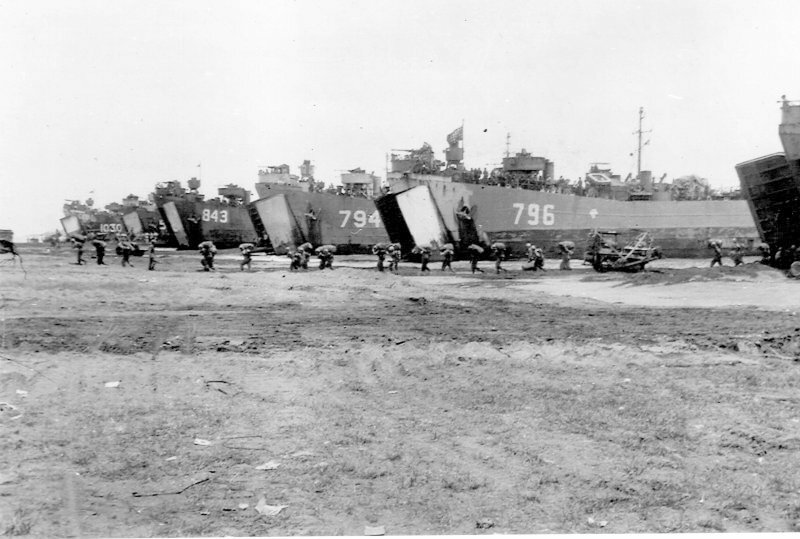 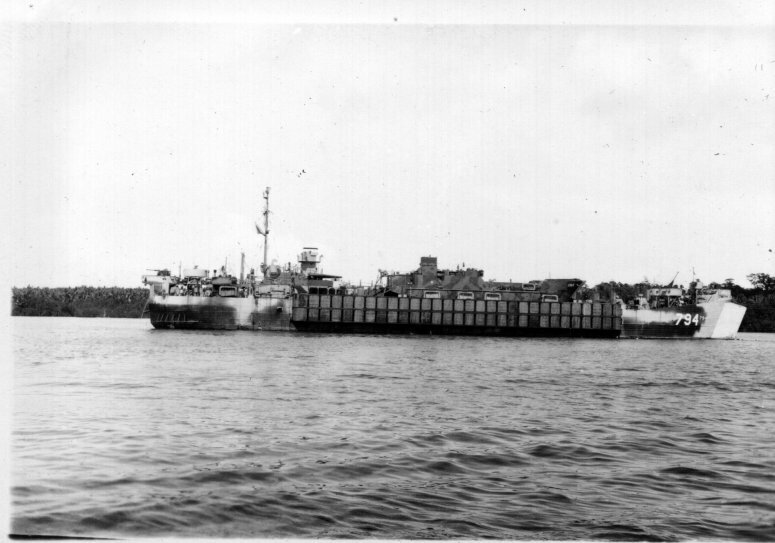 85k From front to back, USS LST-796, USS LST-794, USS LST-843, unidentified LST, and USS LST-1030 beached, date and location unknown while disembarking troops. 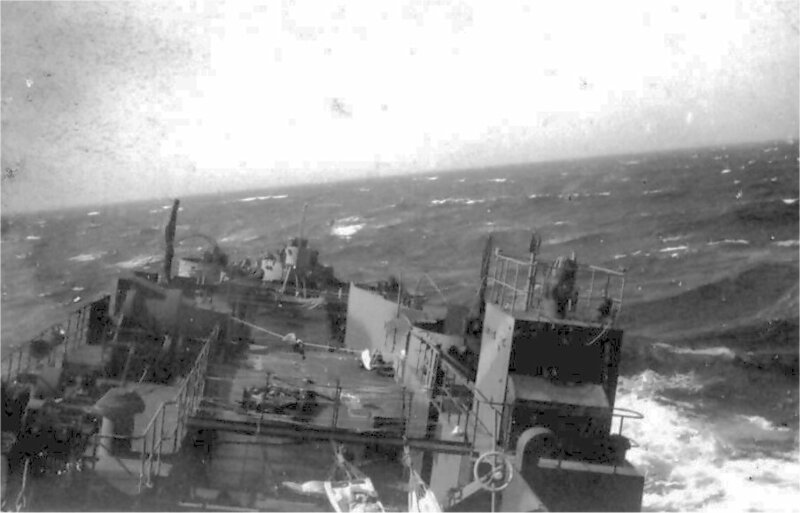 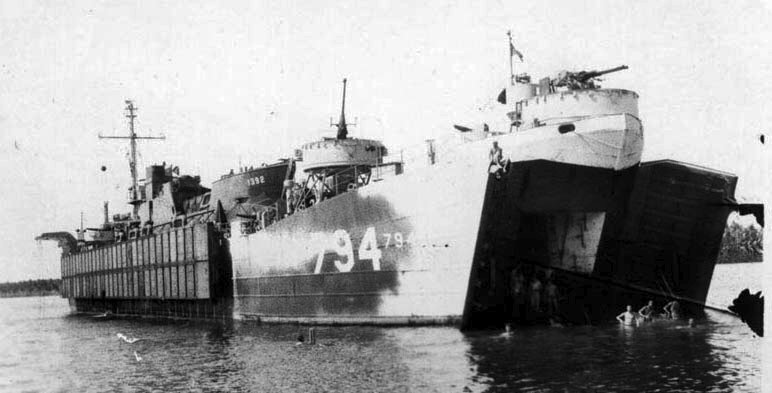 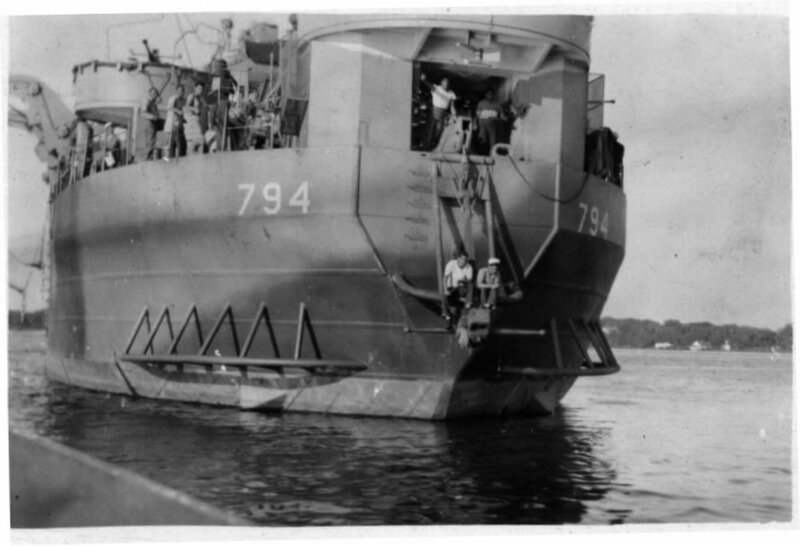 95k USS LST-794, under way, circa 1945-46, location unknown.